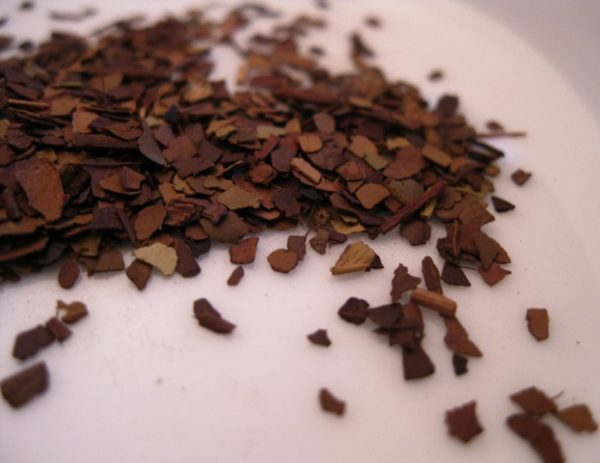 Roasted Yerba Mate Loose Leaf Tea is from northern Argentina is pleasingly astringent, smooth with a roasty character from the process the leaves undergo after plucking. Yerba Mate is commonly known as “the drink of the Gods” by natives. Made from the South American evergreen shrub Ilex paraguayensis, a relative of the common Holly, Yerba Mate is indigenous to Brazil, Paraguay, Uruguay and Argentina. Roasted Yerba Mate is a perfect pick-me-up and has been used by natives for centuries as a sustaining beverage through draught and famine. Jesuit missionaries first realized the economic potential of this beverage and started plantations back in the mid 1600’s. Our Roasted Yerba Mate is a healthy alternative to coffee. Unlike most herbals Yerba Mate has caffeine but is also rich in Vitamin C, nutrients and antioxidants and will give you a relaxed but clarifying alertness, perfect for morning consumption. Yerba Mate is suggested for relief of headaches (or hangovers) and is known as an appetite suppressant. Brew some today and drink in the history of this amazing tea. 20 to 25 cups of tea can be made from 2 oz of loose leaf tea. We also suggest steeping our Roasted Yerba Mate Loose Leaf Tea multiple times for even more cups of great tea.